The cold and wet snow aside, I love heading to Europe in December. 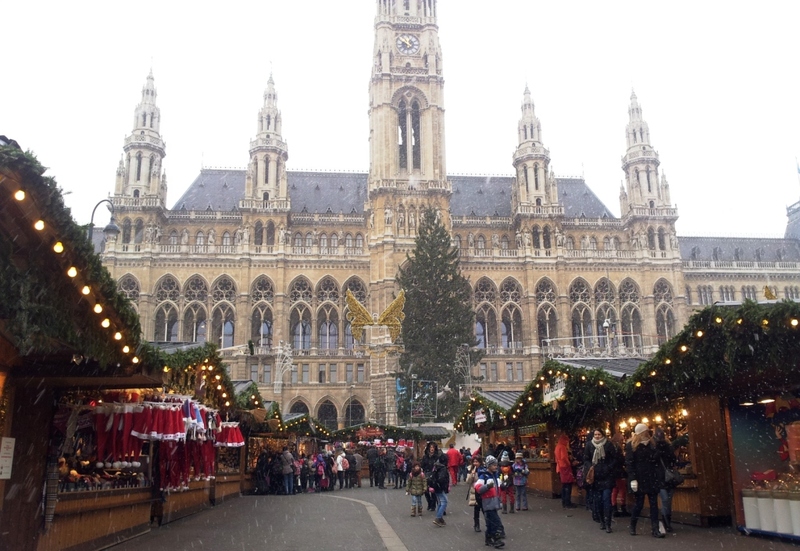 This year, we were lucky to have the chance to drop by Vienna, Austria just in time for their Christmas market. Yay !!! I was very excited. 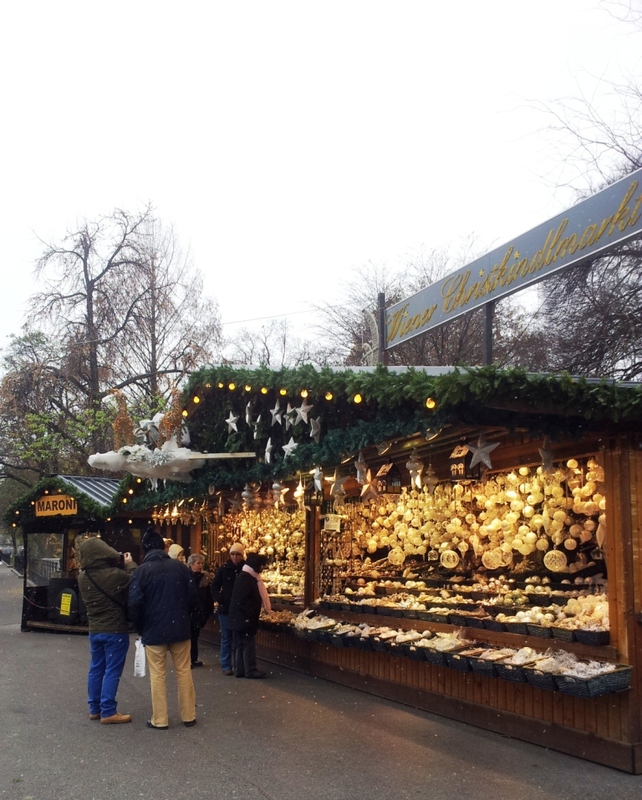 Even though Christmas market originally started in Germany (and is still VERY much celebrated and visited), the Vienna December market dates back to 1294. 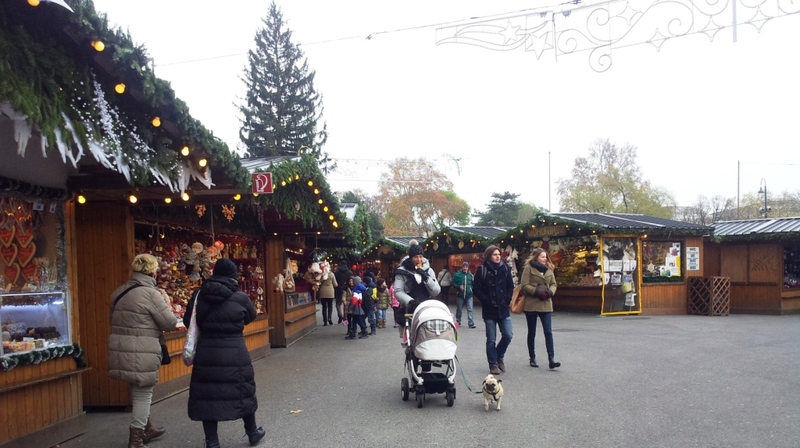 There are a few locations for the Christmas market. But, hub and I decided to head to the one around the city hall in Rathausplatz. It’s really convenient to get there as there’s a underground station right behind the City Hall. After strolling around for about 20 minutes, it started snowing ! LOL. 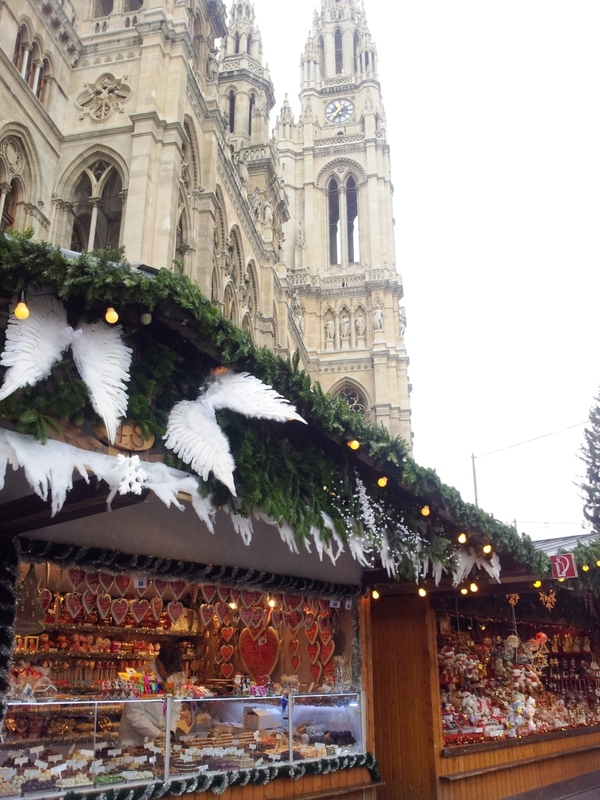 It was an amazing experience to walk around the Christmas market while snowing and sipping hot Glühwein. It really felt like Christmas is here and fills me with a nice warm and loving feeling inside. But, I really enjoyed the short stroll we had there. If you happen to be in Vienna in December, don’t miss out on this !